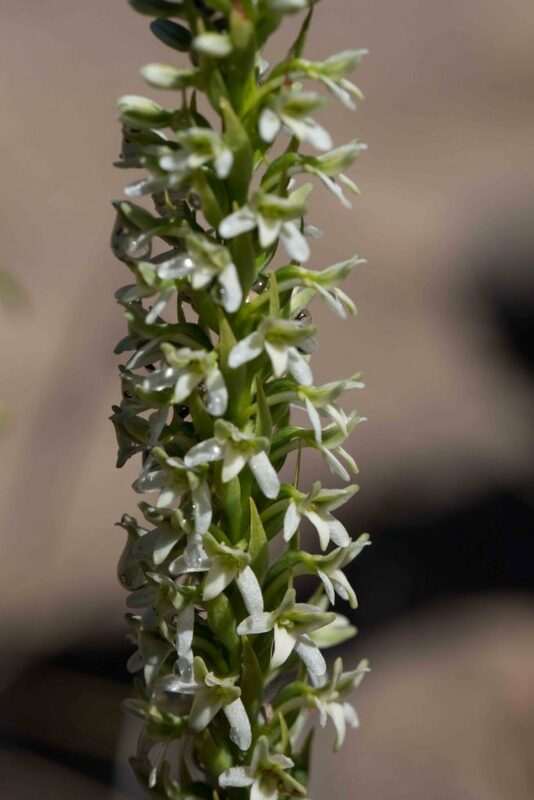 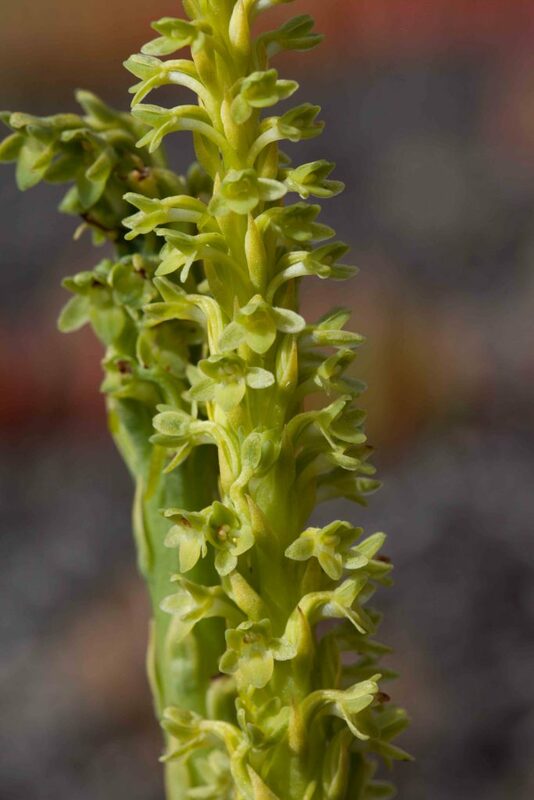 Like Michael’s and Wood/Elongate Rein-orchids (Piperia michaelii & elongata), this has a down-curving spur but, unlike them, its flowers are pure white with a dark green mid-vein and the inflorescence is more dense. 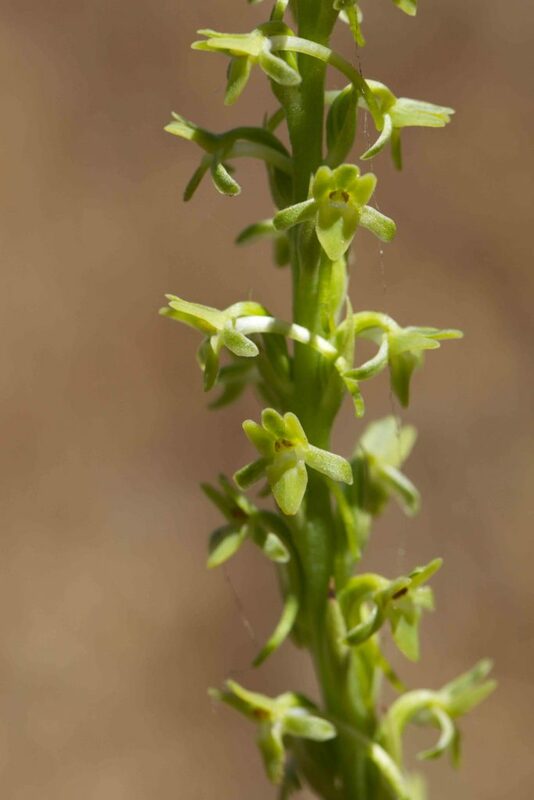 The upper sepal is erect to forward-pointing and the lateral sepals are erect to spreading. 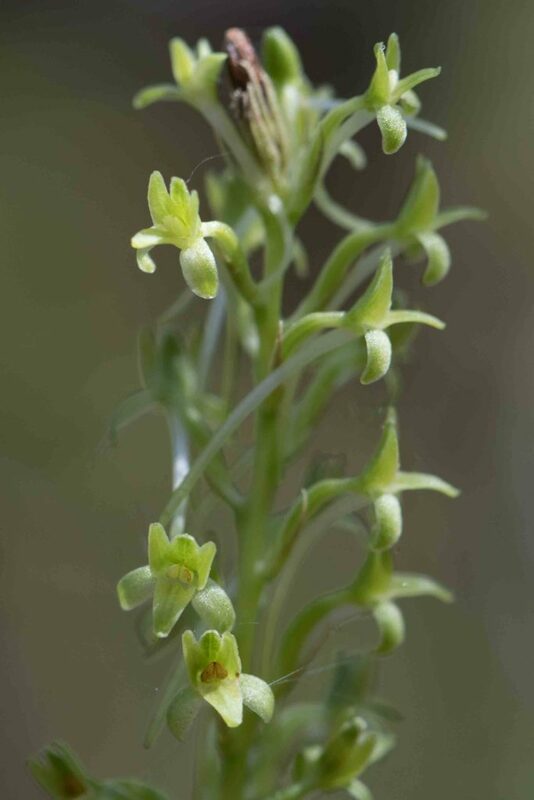 The lip is lanceolate and curved downwards. 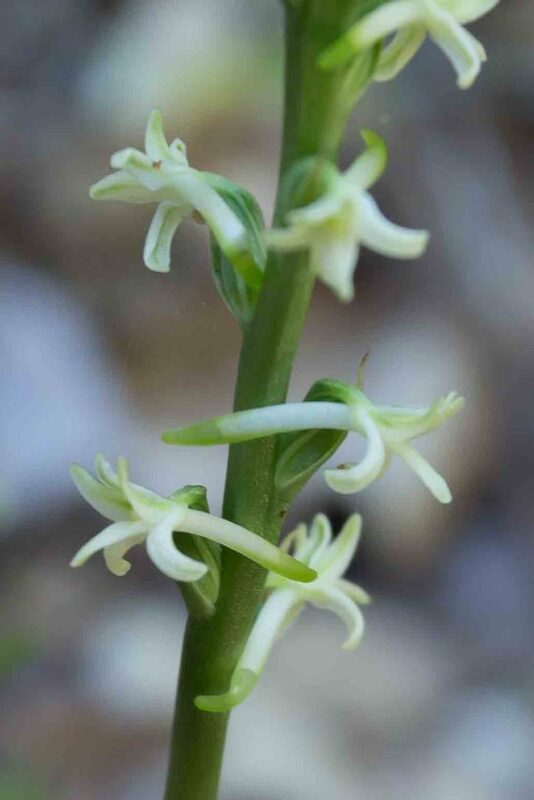 Flowers are fragrant but not clove-like. 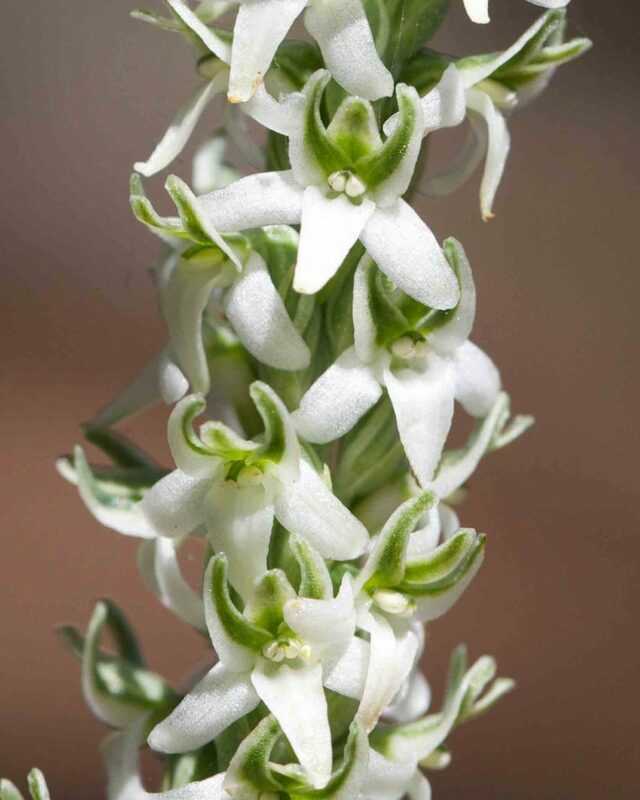 This and Michael’s Rein-orchid (Piperia michaelii) have green to yellow-green flowers and a long, down-curving spur. 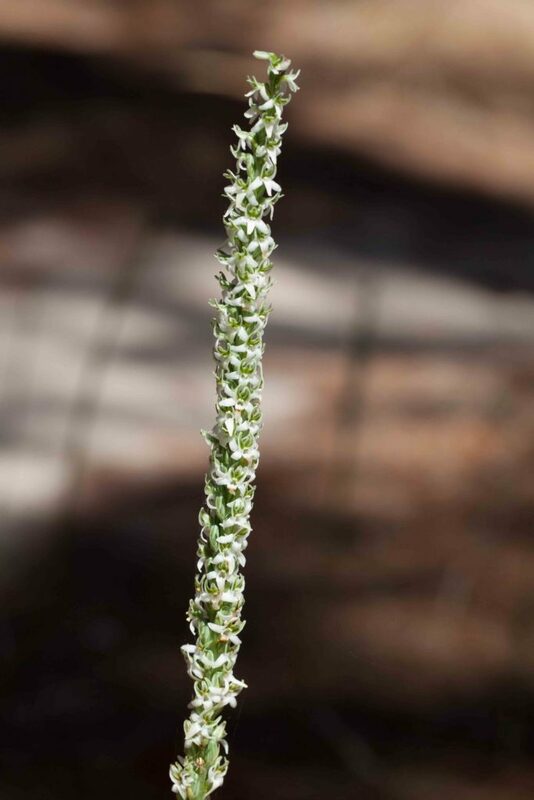 This species is tall and slender with an inflorescence longer than the peduncle. 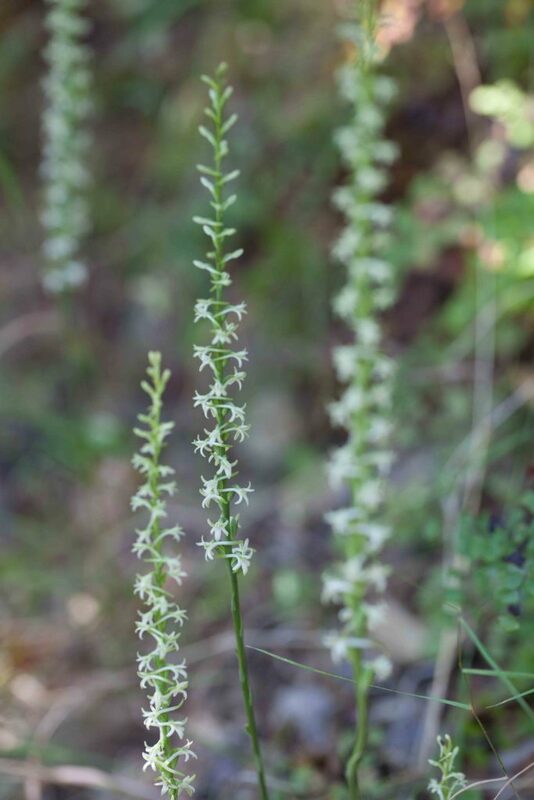 The pale green flowers have sickle-shaped lateral petals and a narrowly triangular lower lip. 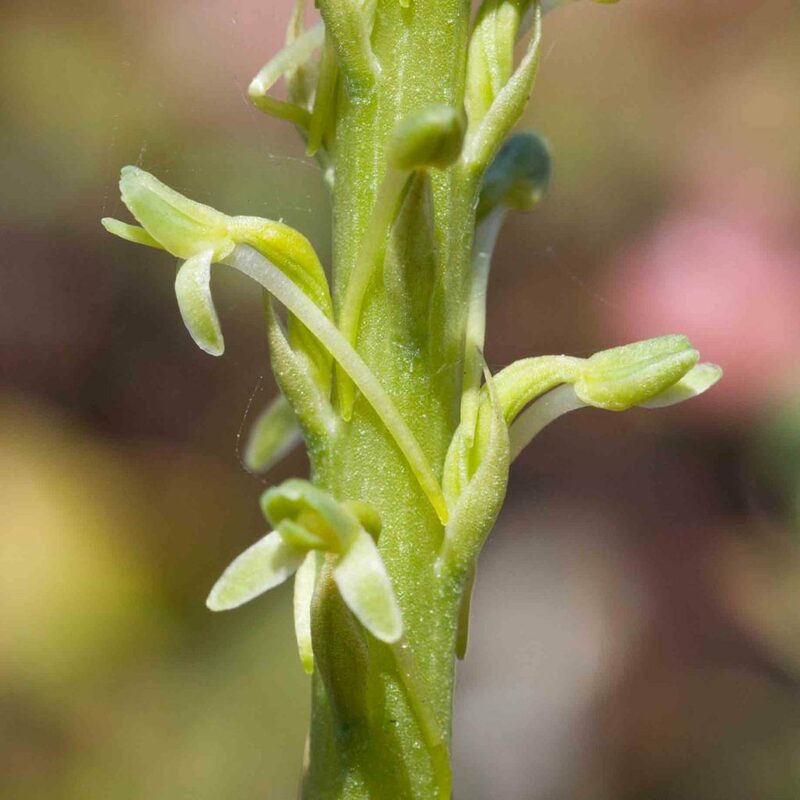 The flowers are unscented. 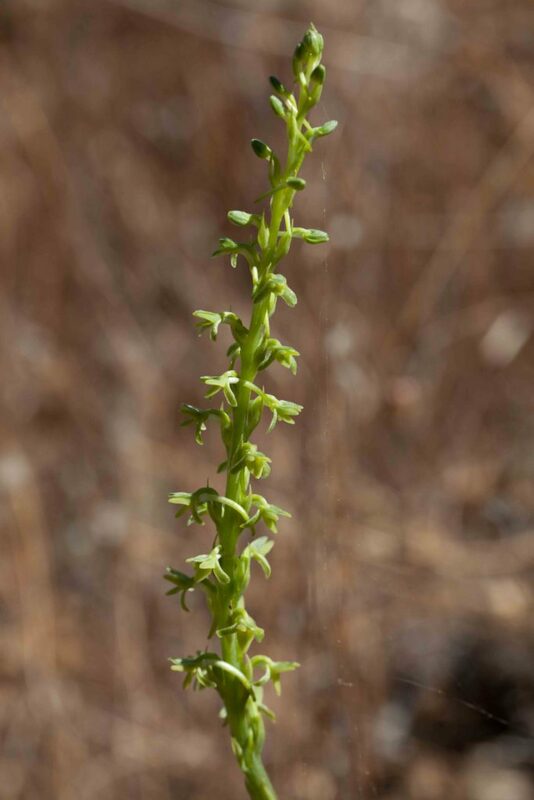 This is less tall than Wood / Elongate Rein-orchid (Piperia elongata) and its inflorescence is shorter than the peduncle. 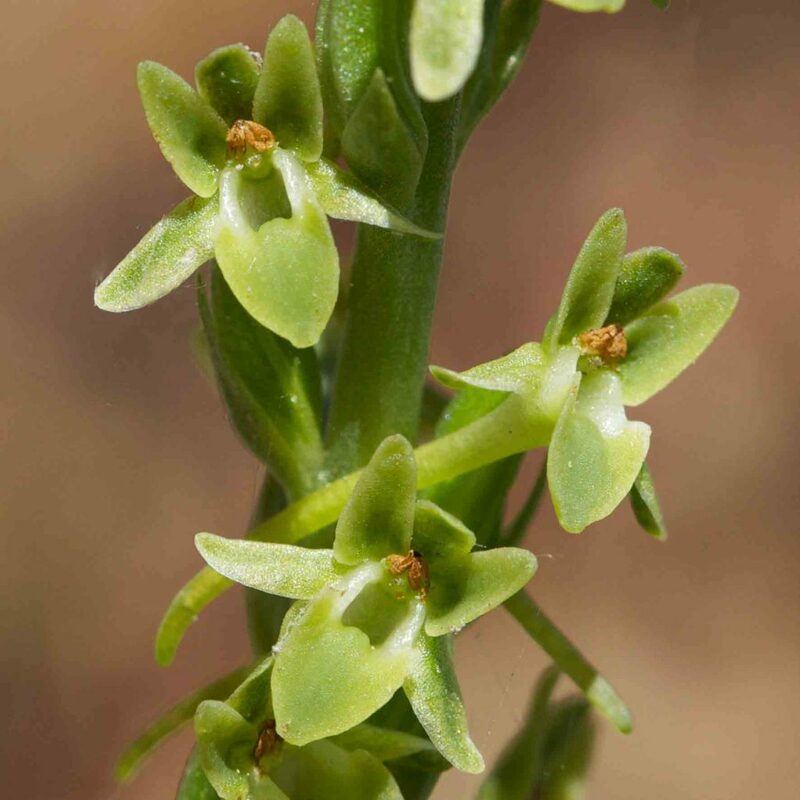 Flowers are a similar greenish-yellow color but can be distinguished by the broad, spade-shaped lower lip and the upright, somewhat concave upper petals. 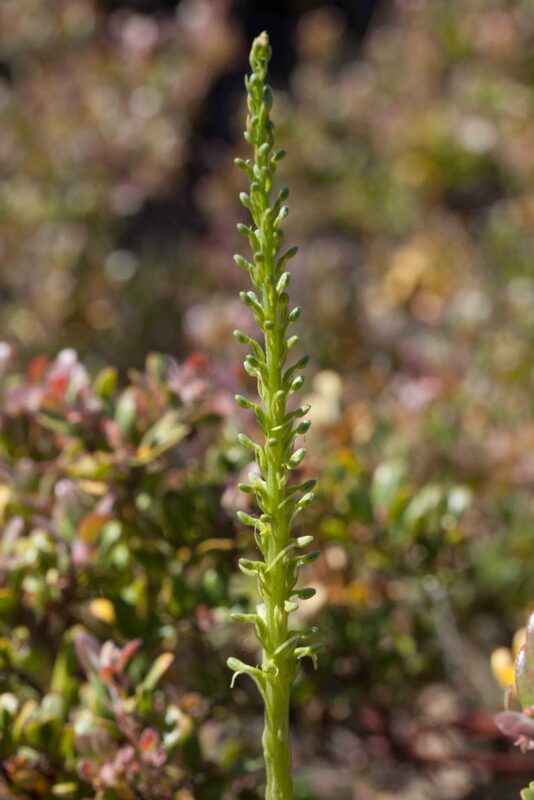 The spur is long, more or less curved and generally pointed down. 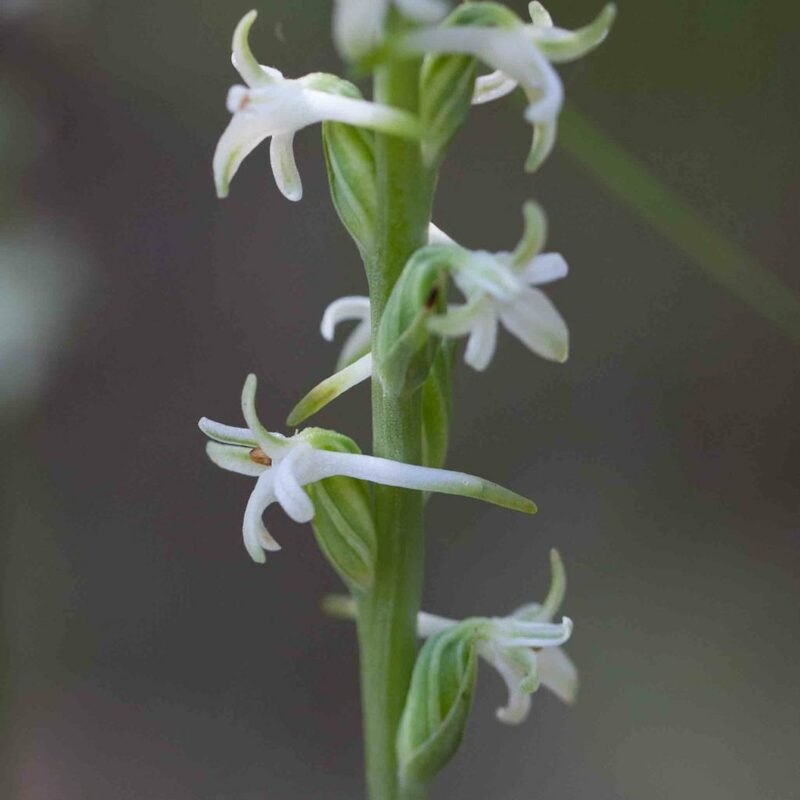 The flowers are fragrant at night. 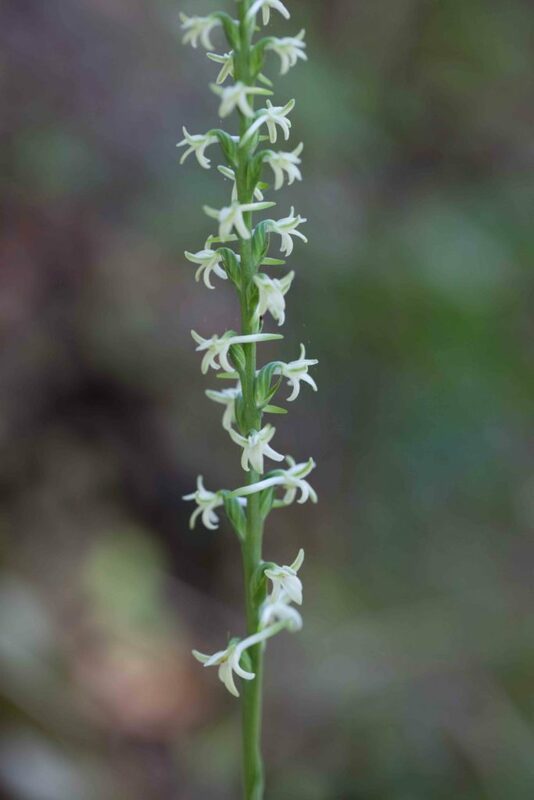 This elegant, shade-loving Rein-orchid, with its long, slender inflorescence, is recognizable by its long straight spurs extending horizontally from the flower. 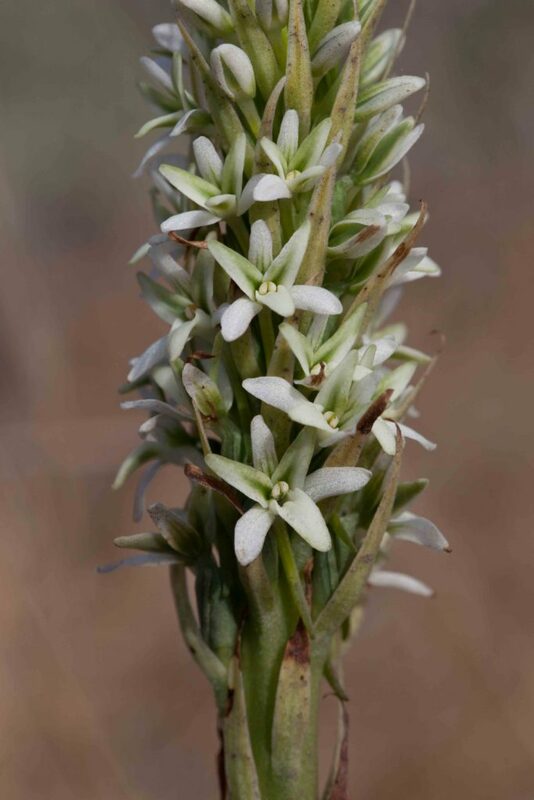 The flowers are white to yellowish, the lateral petals having a green mid-vein. 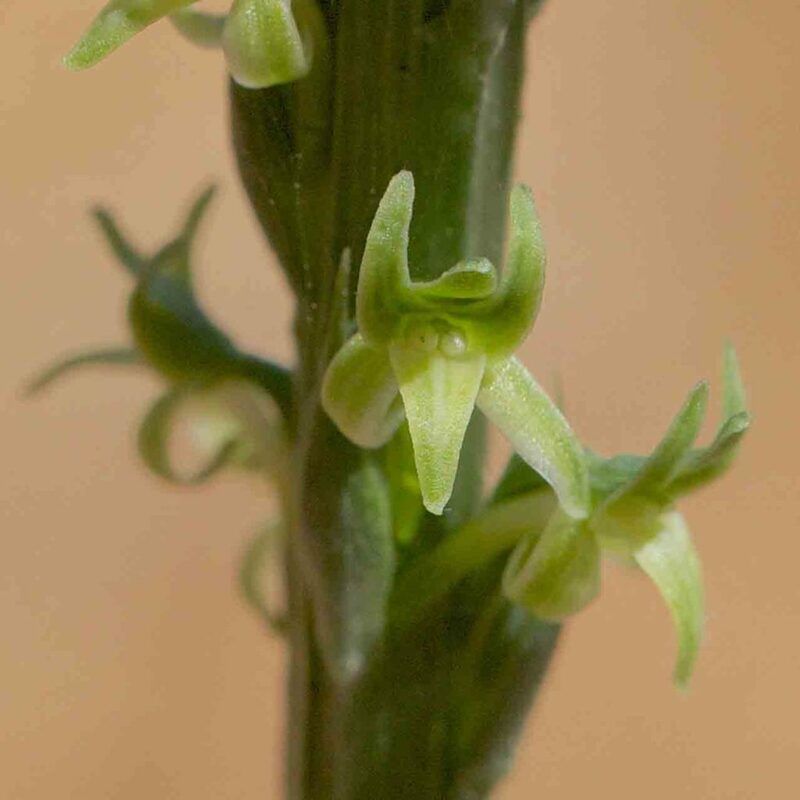 The upper sepal points forward through the erect upper petals. 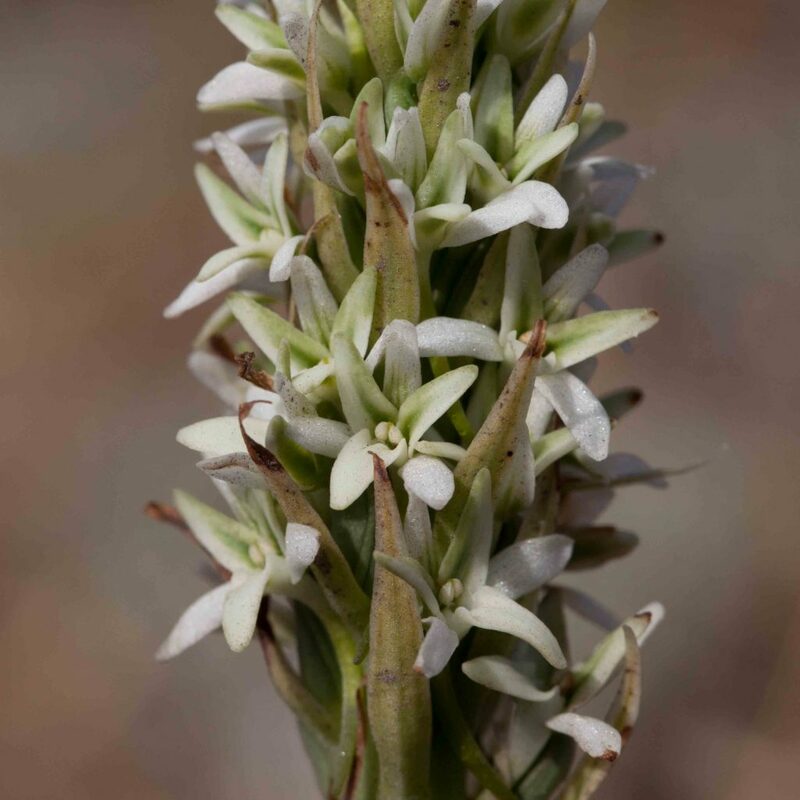 Flower are clove-scented. 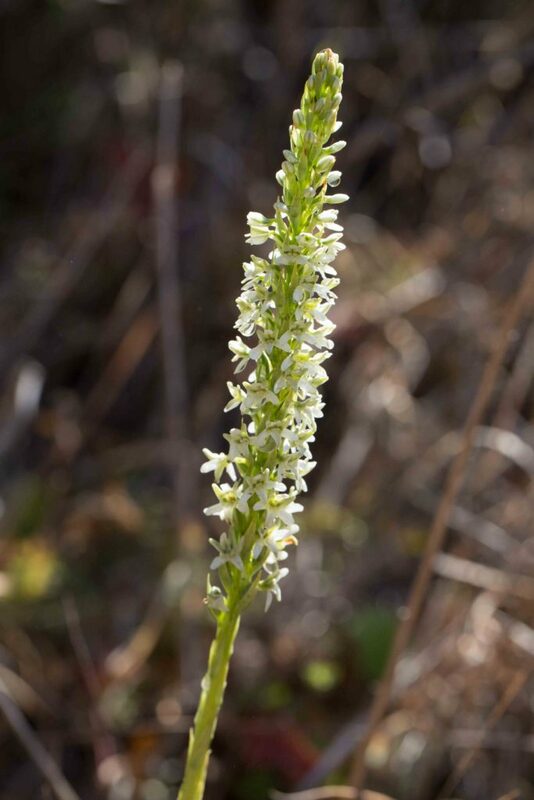 This orchid, endemic to Monterey County, is named after Monterey Peninsula’s own Vern Yadon. 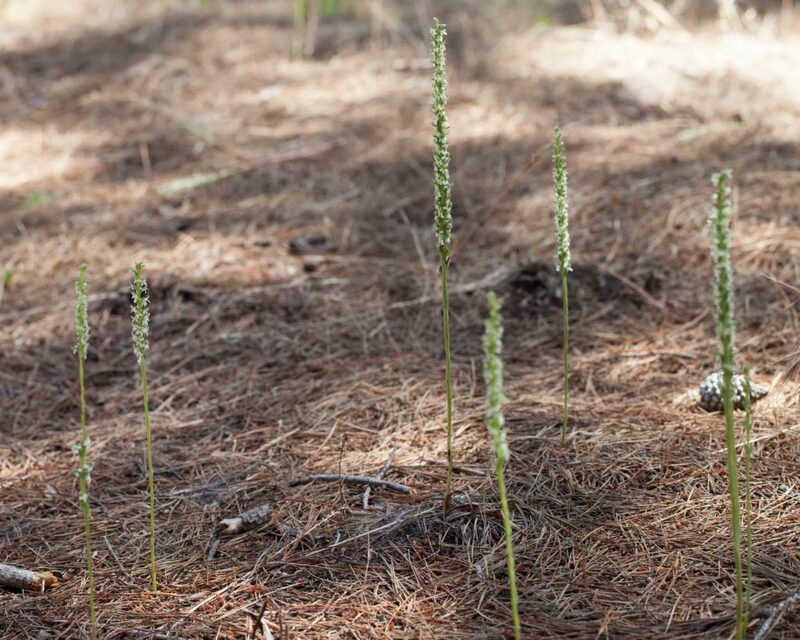 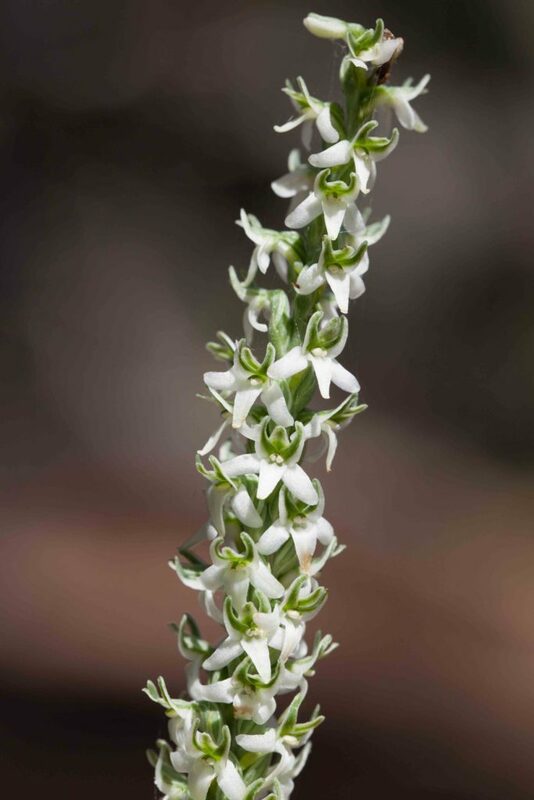 A tall, slender plant with congested flowers, it is similar to Elegant Rein-orchid (Piperia elegans) except for the diminutive white-rimmed, green lateral petals and the spur which is much shorter than those of other Rein-orchids. 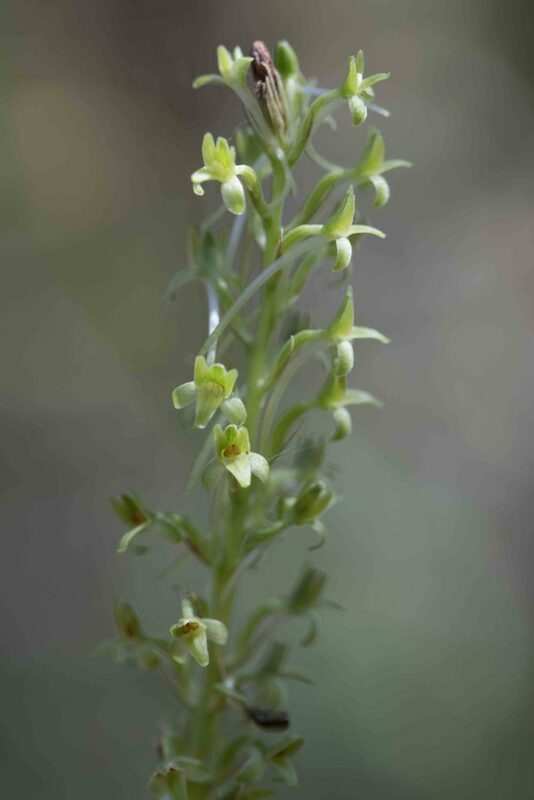 One unique feature of this Rein-orchid is the way the upper petals generally curve inwards like a horseshoe.